Shadows of the Old West is a group of individuals engaged in the portrayal of the period of Westward movement during the mid to late 1800's. Our group seeks to provide a glimpse into the past through presentation and portrayals of the appearance, demeanor, and activities of the men and women of that time. A stroll through our camp provides visitors with a first-hand look at the evolution from the early tent towns to the first Western settlements. 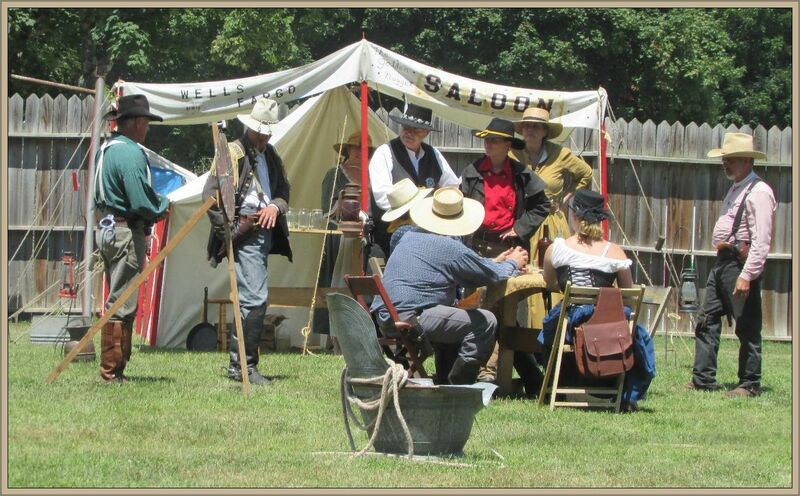 Visit with our living historians and view campfire cooking, firearms demonstrations, and the Cowboy way of life. Prepare to be educated and entertained by various presentations that sometimes combine history and humor to provide an insight into the time period. Our venues include encampments, living history events, Pow-Wows, fairs, festivals, parades, talks and demonstrations at schools and private events in New York and Pennsylvania.